Mobile link sharing is a clumsy rigmarole of app switching and copy & pasting. 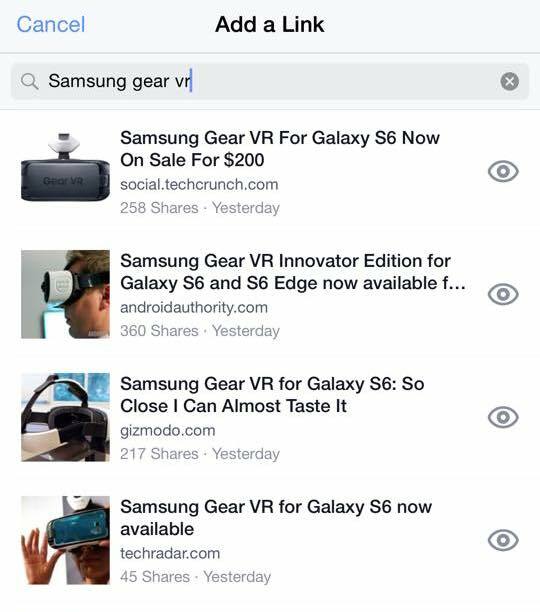 So to get more people posting links, Facebook is testing an in-app keyword search engine that lets you find websites and articles to add to your status updates. Alongside buttons to add photos or locations, some iOS users are seeing a new “Add A Link” option. Just punch in a query, and Facebook will show a list of matching links you might want to share, allow you to preview what’s on those sites, and let you tap one to add it to your status with a caption or share statement. Results seem to be sorted by what users are most likely to share, highlighting recently published sites that have been posted by lots of people. We’ve reached out to Facebook asking for more details on the feature, and are told we’ll have some more info soon. We’ve requested more info from Facebook. If rolled out to all users, it would let them avoid Googling or digging through Facebook’s News Feed to find a link to share. The “Add A Link” button could get users sharing more news and other publisher-made content. Not only does that fill the News Feed with posts that Facebook can put ads next to. It also gives it structured data about what kind of news and publishers you care about, as well as the interests of your friends depending on if they click or Like your story. 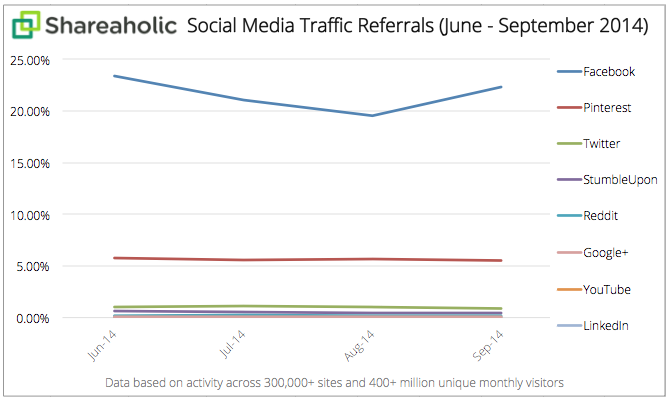 Facebook has become the juggernaut of referral traffic, delivering almost 25% of all social clicks in late 2014, compared to just 0.88% for Twitter. Keeping that stat high goads publishers to push their content to Facebook, expend resources to format it as appealingly as possible, and buy ads to amplify its reach. This all benefits Facebook. A boost from the Add A Link button could make publishers even more dependent on the social network. The feature might also feed in nicely to Facebook’s hosted content project. Several outlets have reported on Facebook’s plans to imbibe content from publishers such as news articles, and display them natively in the News Feed rather than making users click out and wait for the slow mobile webpages to load. In exchange for enriching its feed and making it even tougher to look away from, Facebook plans to split ad revenue with the publishers. The Wall Street Journal says the program could launch soon, and Facebook might give publishers 100% of ad revenue if they sell what’s shown next to the articles. If Facebook sells the ads, it might get 30%. The scheme would keep users on Facebook when they consume content rather than popping into browser windows where they might be more likely to end their Facebook session. Similarly, Add A Link could keep users on Facebook when they go to share content too. The garden’s walls grow ever taller.